The Hanging Gardens of Babylon is a garden was in the ancient city of Babylon. No one knows if The Hanging Garden of Babylon is even real. The whole garden was not on the ground but high above it. Some think the whole purpose of the garden was to make King Nebuchadnezzar II wife happy. The Hanging Garden of Babylon was created in 605 BC. Some proof that this is real is because of sacred texts. Archaeologists have never unearthed evidence of the gardens and scholars have questioned its existence. A researcher says she knows why the Hanging Gardens of Babylon have proven so unreal. It’s because they weren’t in Babylon at all. Greek and Roman texts paint pictures of the Hanging Gardens of Babylon Besides the hot, landscape of ancient Babylon, nice plants surround the terraces of the 75-foot high garden. Exotic plants, herbs, and flowers catch the eyes, and lovely smells through through the great towers. Some people think that the Hanging Garden of Babylon was created for a king’s wife so that she would be happy. The king's name was. 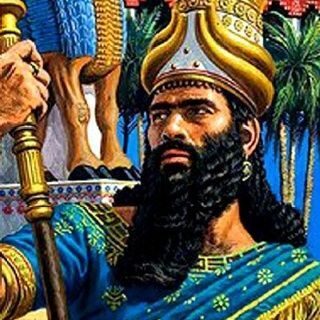 Nebuchadnezzar II was king of Babylon 605 Bc –. 562. Nebuchadnezzar II is known for rebuilding much of Babylon. Nebuchadnezzar II is even in the bible. Nebuchadnezzar continued to expand the reach and control of the Babylonian Empire. Nebuchadnezzar died around 562 BC. He was succeeded by his son Amel-Marduk. The Hanging Garden of Babylon was made in a beautiful city. There are many theories about The Hanging Garden of Babylon. Like how the garden was actually hanging in Nineveh, not Babylon. Since this time, archaeologists and historians have tried to find the location of the ancient city but have been unable to find any physical evidence they existed, leading some to believe the gardens are a myth. It is one of the Seven Ancient Wonders of the World and was called the Hanging Gardens because they were supposedly built high above the ground on split-level stone terraces. The Hanging Gardens of Babylon are thought to have been built in the ancient city of Babylon. Even though there is no proof that they actually existed, they are considered to be one of the Seven Wonders of the World. It is called the Hanging Gardens because the gardens were built high above the ground on multi-level stone platforms. The plants weren't rooted in the earth like a traditional garden. If it existed it was likely the most beautiful man-made gardens ever created. Carlie C. Student, Hailey W. Student, Carlie C. Student "The Hanging Garden of Babylon by Carlie Cronbaugh and Hailey Weber" AwesomeStories.com. May 22, 2017. Apr 23, 2019.